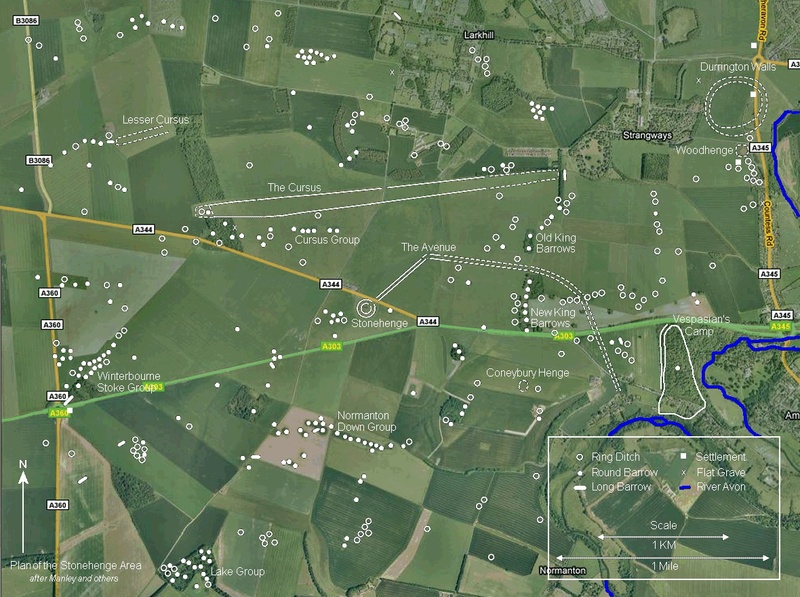 It shows the “ritual” and non-ritual features in the Stonehenge area — with the features themselves overlaid onto a satellite image of the district. Click to enlarge. 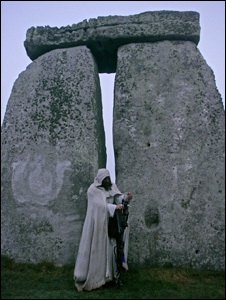 When robed Druids gather at Stonehenge for the summer solstice in 2011, they will be worshipping at the prehistoric stone-circle monument for the first time as members of an established religion under British charity law. 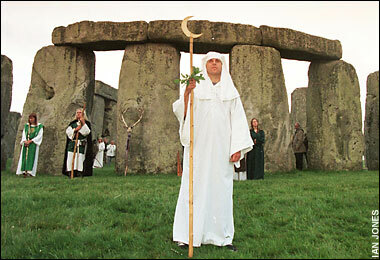 The classification means members of the ancient pagan tradition, which some see as a curiosity of Britain’s ancient past, have mainstream status equal to the Church of England. The change of status, which is controversial, gives them tax advantages. 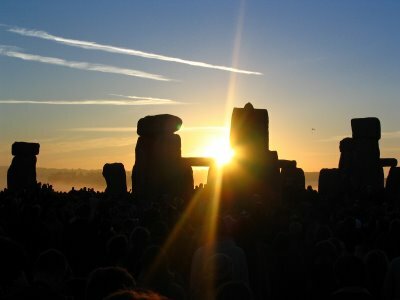 The new evidence was described by one archeologist, an expert on ancient ritual sites in the area, as “an astonishing discovery”. 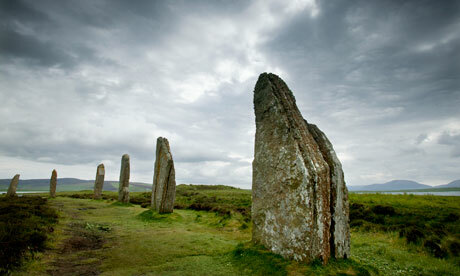 Both neolithic structures are likely to have been constructed over many generations. The Marlborough mound had been thought to date back to Norman times. 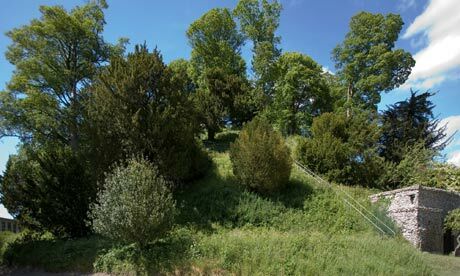 It was believed to be the base of a castle built 50 years after the Norman invasion and later landscaped as a 17th-century garden feature. But it has now been dated to around 2400BC from four samples of charcoal taken from the core of the 19 metre-high hill. 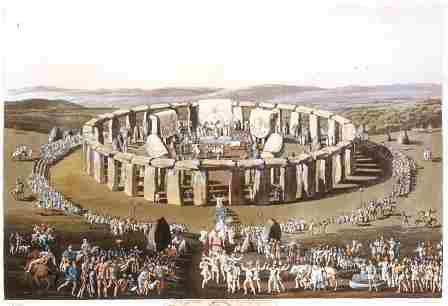 The samples prove it was built at a time when British tribes were combining labour on ritual monuments in the chalk downlands of Wiltshire, including Stonehenge and the huge ditches and stone circle of Avebury. 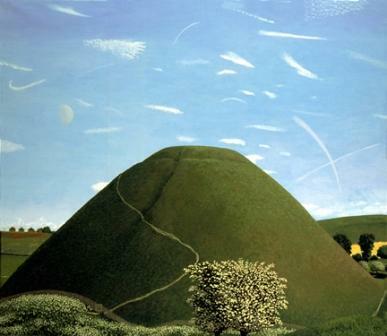 The Marlborough mound has been called “Silbury’s little sister”, after the more famous artificial hill on the outskirts of Avebury, which is the largest manmade prehistoric hill in Europe. 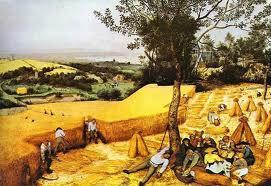 Marlborough, at two-thirds the height of Silbury, now becomes the second largest prehistoric mound in Britain; it may yet be confirmed as the second largest in Europe. The dating was carried out as part of major conservation work amid concerns that tree roots could be destabilising the structure.